The SiFive S21 Standard Core is a full-featured 64-bit embedded processor based on the S2 Series. The S21 has separate Instruction and Data Buses, along with 2 banks of Tightly Integrated Memory (TIMs). The S21 is an ideal choice for area constrained applications demanding a 64-bit processor. The S2 Series is a 64-bit microcontroller highly-optimized for area, efficient performance, and simplified integration into 64-bit SoCs. 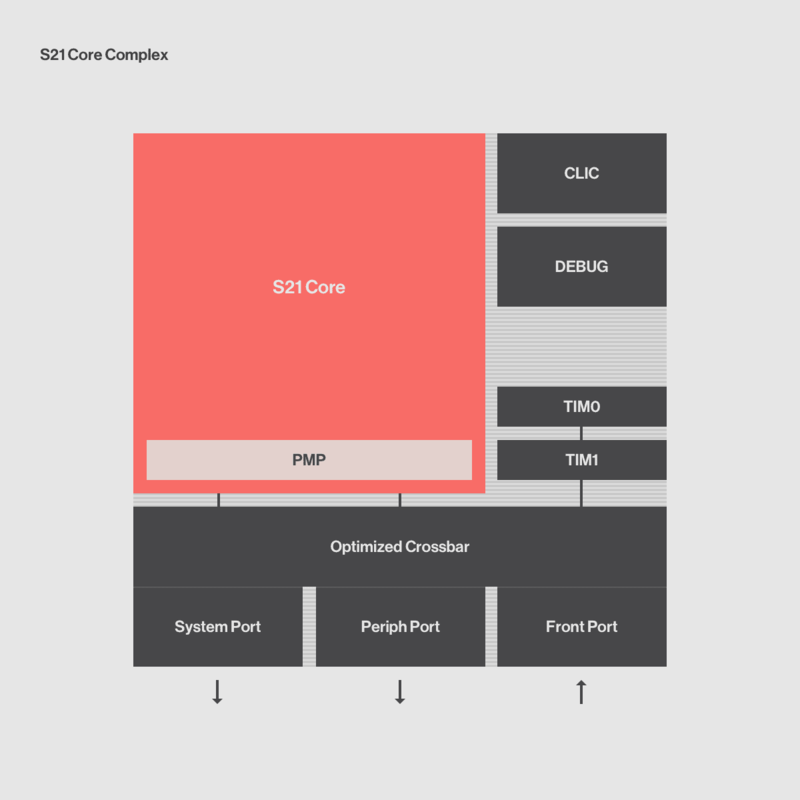 The S2 core has the same efficient 2‑stage or 3-stage pipeline as the E2 Series as well as a Core Local Interrupt Controller (CLIC) enabling extremely fast interrupt response. The S2 Series can be fully customized to meet your specific requirements.